. PROMATE On-Ear Bluetooth Stereo Headset. Light-weight design. PROMATE On-Ear Bluetooth Stereo Headset. Light-weight design. 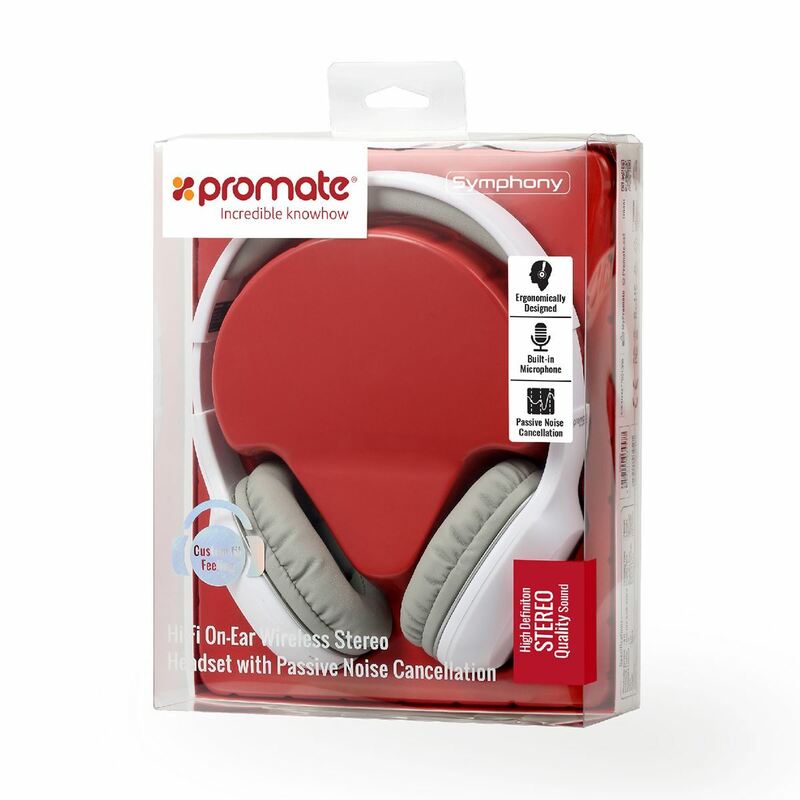 PROMATE On-Ear Bluetooth Stereo Headset. Light-weight design. Padded headband. 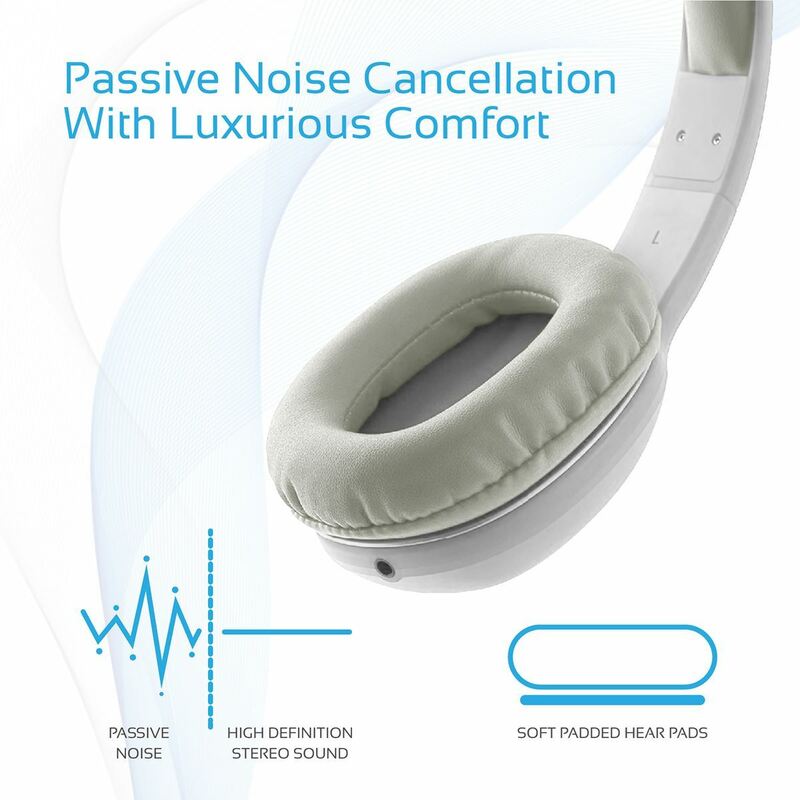 Passive noise cancellation. Colour White. Symphony is loaded with High-Class sound drivers which are dynamic and provides you with a world-class experience in music and sound. With Symphony you can feel every note of your music. The crystal-clear sound from Symphony will make you experience pure acoustic bliss. Experience superb music and voice clarity. Built-in bass boost feature lets you tailor your audio experience for TV, music or gaming on your PlayStation, Xbox or PC, with rich lows and clear treble. The perfect headphone for audio lovers. The Protein-leather Memory Padded Symphony is crafted for premium quality comfort. The cushion pads are comfortable and noise cancelling which helps in using the headphones for long hours without any issues or pain. The cushion pad also helps in reducing sound leakage and provides you with a complete surround sound experience. WIRELESS MODE: You can enjoy with our Bluetooth microphone for about 10hrs with Bluetooth headphone built-in 250mAh battery. WIRED MODE: you can also use it as a wired headphone with the provided audio cable, so the headphones will never power off. Symphony offers you true wireless freedom with a Bluetooth v4.0 which provides you with complete freedom of movement. 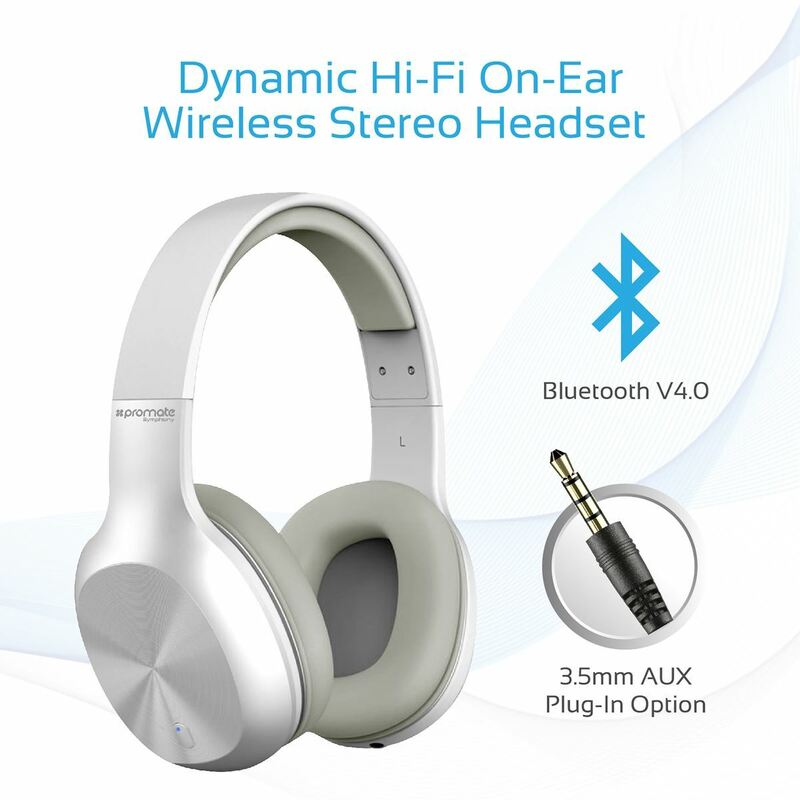 The headphones can be paired with most of the audio and video devices with Bluetooth connectivity and with all the mobiles and laptops with Bluetooth. Symphony has an operating distance of 10 meters which provides the user with enough mobility and movement space. With the Promate headphones, you need not worry about knotted cables. This cable is specially designed to resist tangling, so you can store them however you want and pull them straight out, ready for use when you need them. They won't become distracting and obstructive in your activities either! This is a priceless feature as anybody who has suffered from tangling cables will tell you. 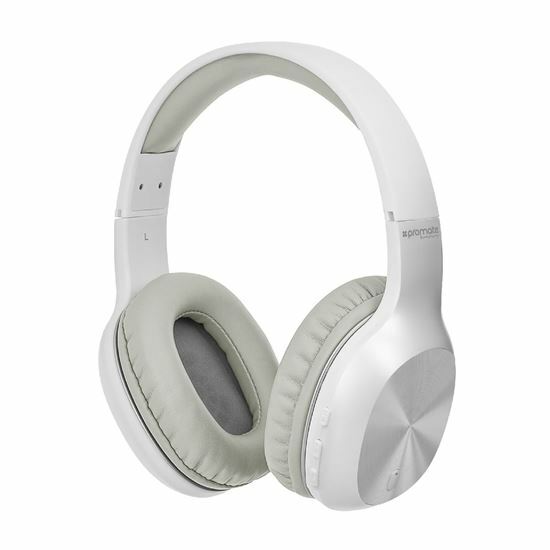 The Symphony features high-quality protein leather cushion padded cups which along with comfort also provides passive noise cancellation and reduce sound leakage. The protein leather cups are comfortable on the ears but provide you with a complete soundproof noise cancellation experience.